AirAsia is expanding its domestic network in Mindanao with the addition of new flights from Cagayan De Oro City to Manila, Cebu, Iloilo and Clark starting October 28, 2018. 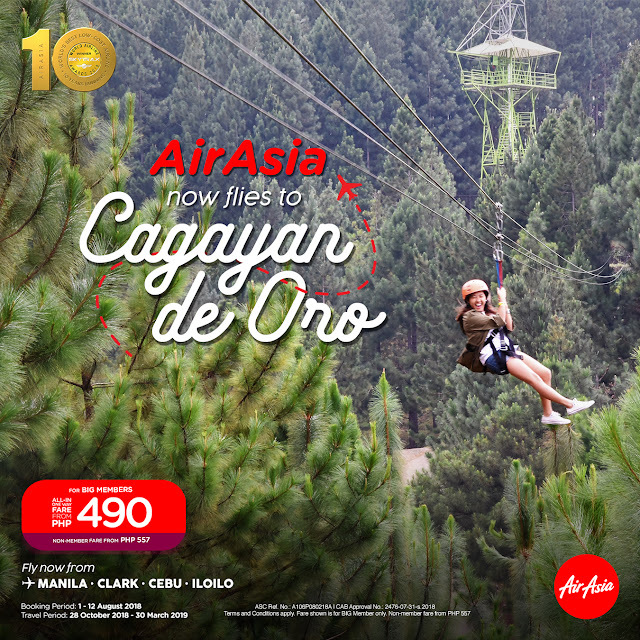 To celebrate the launch of AirAsia’s newest Cagayan de Oro City routes, promo fares from as low as P490, all-in seat sale are now available for booking at www.airasia.com today until August 12, 2018 for travel period between October 28, 2018 to March 30, 2019. 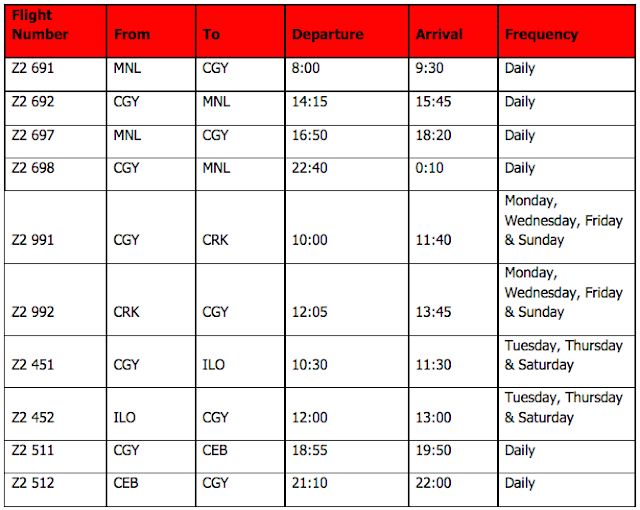 AirAsia’s Cagayan de Oro - Manila route will operate twice daily, Cagayan de Oro - Cebu route with flights daily while Cagayan de Oro – Iloilo three times weekly and Cagayan de Oro - Clark at four times weekly.